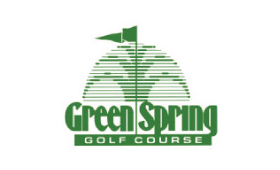 The Green Spring Golf Course is a favorite among locals and visitors. Signature holes 5 and 6 have you shooting across red rock ravines that will surely get your heart racing! There are lots of water hazards to negotiate on the course, and some good course management is needed to secure a good score. You might find yourself wanting to tee off a couple extra balls just to see if you can cut the corner to the green on hole 15. This course will leave you with plenty of great stories and a deep desire to return for another chance to try again. Paired with the right hotel, this course will top off your perfect golf getaway! Green Spring area in Washington Utah was one of the main courses for St. George’s golf course boom in the early 90’s. The golf course is a pleasure to play and offers an excellent test of golf including, two of arguably the best holes in all of Utah. These two holes feature breathtaking shots over a deep red-rock canyon, with stunning backdrops of the 10,000 foot Pine Valley Mountain and views of Red Cliffs State Park Recreation Area. From top to bottom Green Spring Golf Course is a quality golf experience, and is a course not to be missed on your next trip.